General Contractors, Sub-trades, Sub Contractors. SiteMax is "The Field Management App for Construction". A complete set of mobile tools made for the jobsite. One app. One place. All that matters most on your jobsite. With the right mix of features, SiteMax helps you manage the site from the field and in the office. 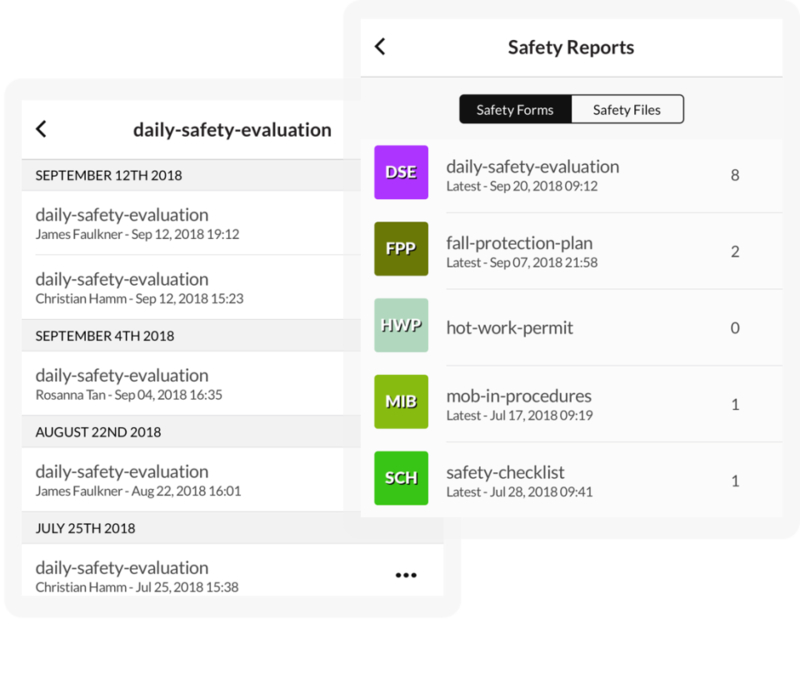 Built for General Contractor's and Sub Contractor's, managing time, tasks, photos, safety & progress form data, deficiencies and tools at your fingertips, via Android, iPhone, iPad and desktop browser. 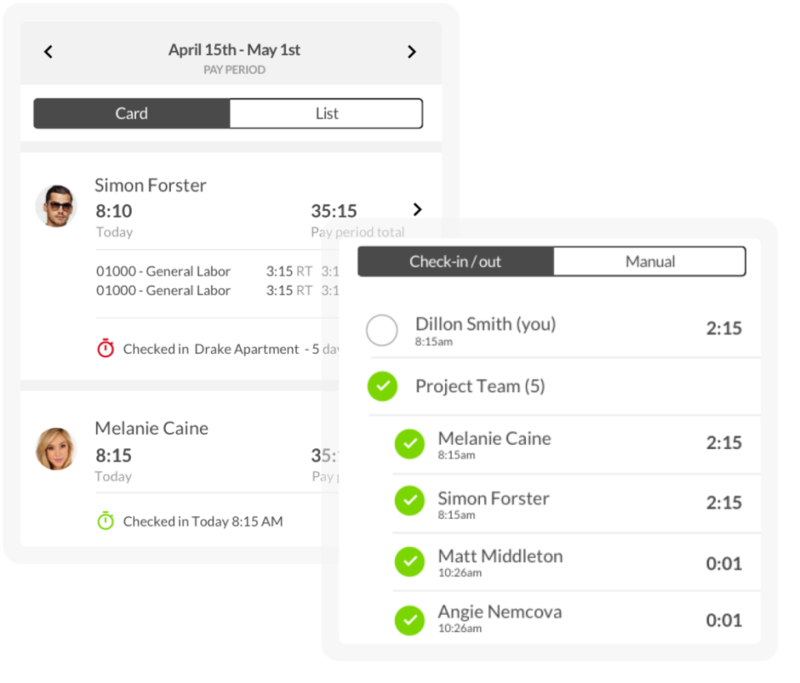 Intuitive, multi-platform, cost-saving project management software. Pros: Its easy to use and navigate because the interface and structure is simple. It is packed with robust features that are customizable to any company. It saves money on administrative, employee, and project associated costs and labor, and reduced employee time theft among many other benefits. 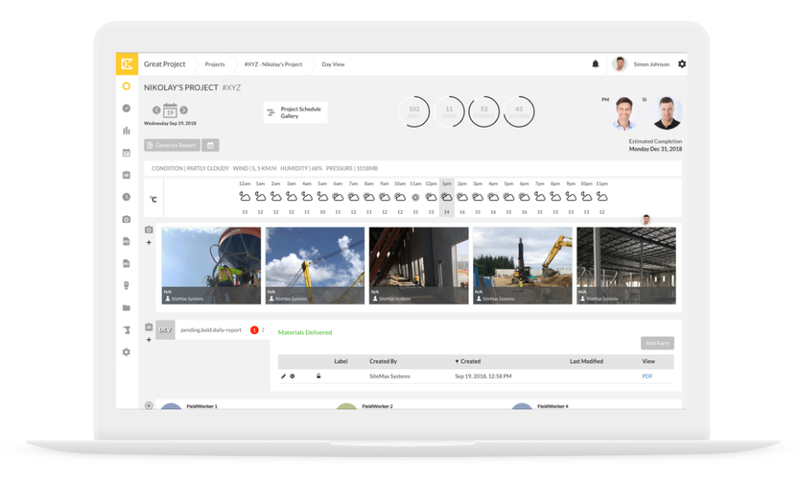 It organizes projects digitally with custom forms, file storage, punch lists, purchase orders, scheduling and tasks, and so many other features. Customer service is hands down, one of their greatest features. 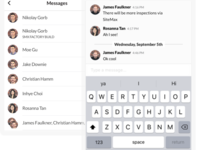 Unlike the larger construction project management software companies out there, SiteMax seems to pride themselves in customer service. When you call them, you don't get an outsourced overseas operator, you get a knowledgable and dedicated member of their team. They are upfront, honest, and are willing to go the extra mile for their clients. Cons: I wish I could give cons for SiteMax so my review wouldn't be so biased, but honestly, these guys have surpassed all of our expectations and goals we set out to achieve in regards to construction management software. There has not been one single issue or negative experience we have encountered in our year of utilizing SiteMax. Overall: We have been working with and using SiteMax for over a year and are more than satisfied with their application. As a flooring sub-contractor, prior to using SiteMax, we relied strictly on paper forms, emails, and text messages to track and manage our projects. This method, although tried and true, was incredibly time consuming, a nightmare to organize, and had substantial direct and indirect costs associated with it. SiteMax has allowed us to combine many aspects of how we run our organization into one simple, easy to use platform. Our organization installs flooring throughout the United States, which makes logistics and communication difficult. With their system, we are now able to collect forms, employee time, and other time-sensitive information on our projects at our corporate office instantly. This has saved us thousands of dollars because of the simple, accurate geo-located employee time tracking alone, and we have saved even more in regards to change orders and punch list items. 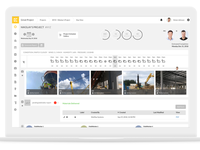 We highly recommend SiteMax because they have packed so many features into one simple, intuitive, and robust program which can be easily implemented in any construction company, regardless of their respective industries. To top it off, their customer support is by far the best in the industry. Recommendations to other buyers: My word of advice for construction companies seeking construction project management software is to remember that these types of applications, not just SiteMax but all of them, are designed for the construction industry in general. This includes general contractor and sub-contractors in various different construction related industries. So these application are not FULLY customizable to your every need and want when it comes to how you setup and run your business. Every construction company operates their administration and field crews differently, because of this these applications have to be general enough to support that. If you are looking for an application that is specifically designed for how your company operates and does business, then you need to seek a software development firm and have a custom application made for you. But ill tell you in advance (because we looked into this option) you are looking at a minimum of $100,000.0 investment. 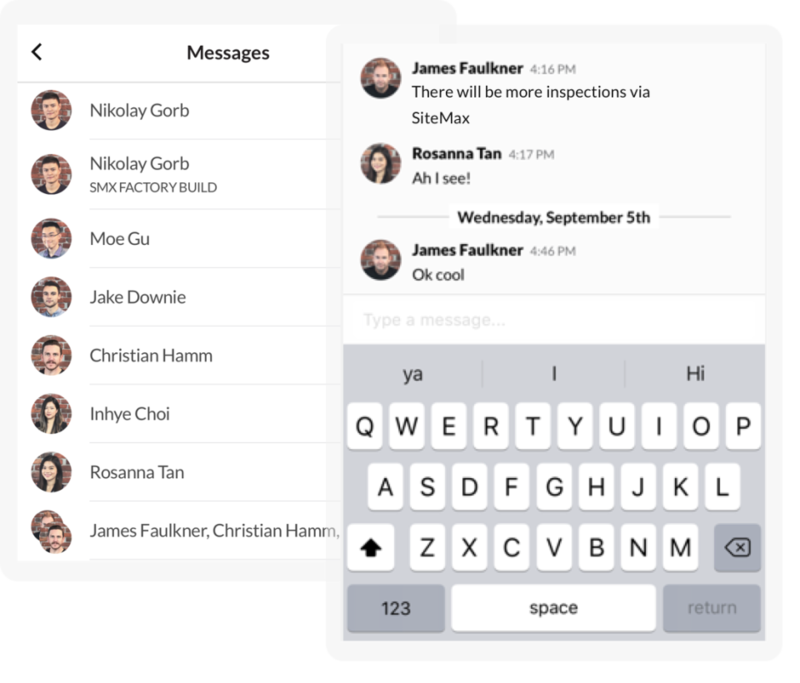 Utilize these types of construction management applications for how they were designed, don't assume that a all the features are going to be geared specifically to you. Pros: Ease on integration from our current processes to SiteMax system. Extremely helpful management and staff truly offer personal attention to make their system into everything we asked for and more. We expected a difficult integration with our current field management and a process that would take 30+ days. We accomplished our goals with SiteMax managements help in 7 business days from time of order to full implementation to all staff members both in the field and office. The data coming in from the field is already transforming our business and going to make it seamless to grow our business to the next level. One last comment. everything above is a glowing review and rightfully so we interviewed multiple companies with similar software. Our initial presentation almost instantly took SiteMax out of the running. The guys instantly realized that this was an issue and came back with another presentation and knocked it out of the park. Cons: So far we have had a few glitches with forms and functionality while some would think of this as a CON we expected it but what was amazing was how fast these minimal issues were fixed. The only fault we could find so far is the time clock which we cant currently use due to state regulations however we are excited to see new releases for SiteMax this fall which should enable us to use SiteMax as our sole source software. 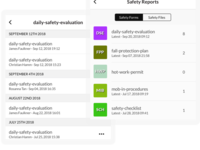 Overall: Multiple business solutions from daily reporting to safety. All of our field processes are currently on this software except time keeping. SiteMAX is a program you can easily use to have your employees sign in / out to track payroll. Track you equipment and vehicles to which job (site) they are on. 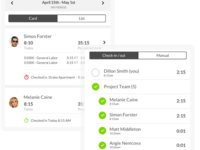 Real Time field tickets is a plus, easily to look up and see how the job is progressing. For us being able to have all of our documents that are required out in the field in one place, with the added benefit of real time reporting is a great assest to our company. You no longer have to worry that "paper" copies are lost, no coffee spills. We are extremely pleased with program and will continue to use. Overall: Benefits I get from using SiteMAX are priceless!! Everything I need to know about where the different crews are what they are working on in real time is a plus for WEC. SiteMax has been easy to use and flexible. Pros: SiteMax is extremely user friendly. More importantly, the team at SiteMax are extremely creative and have been able to create very effective forms to support our company. Overall: A paper free health and safety department, as well as better oversight of our field operations team. Great application! SiteMax team made the process very easy. Pros: The SiteMax application is very easy to use and the staff customized the application to fit our needs. The implementation into the field was very easy. Cons: A few of the features are not applicable to our line of work. But wouldn't consider this a con. The SiteMax team is extremely dedicated, creative, and responsive. Highly recommend this product. Pros: The breadth of its scope, and the mobile app has a beautiful UI. Highly recommend this firm and product. Cons: It is still very new, so there are some user experience issues. SiteMax is aware of these, I believe, and is actively working to better their product -- and we are happy to be a part of that process. We understand the challenges involved in developing a platform that works for every client and every need, but SiteMax has proven to be dedicated to delivering a product that addresses the unique and specific issues their clients face. Pros: Web app: Technician's daily calendar schedule, time cards, and equipment tracking. And you can active jobs and equipment count on a map! Mobile app: Technician's clock-in and out, QR code easy scanning of equipment, daily reports, afterhours emergency ticket, and built in calendar. Both web app and mobile app run super fast.